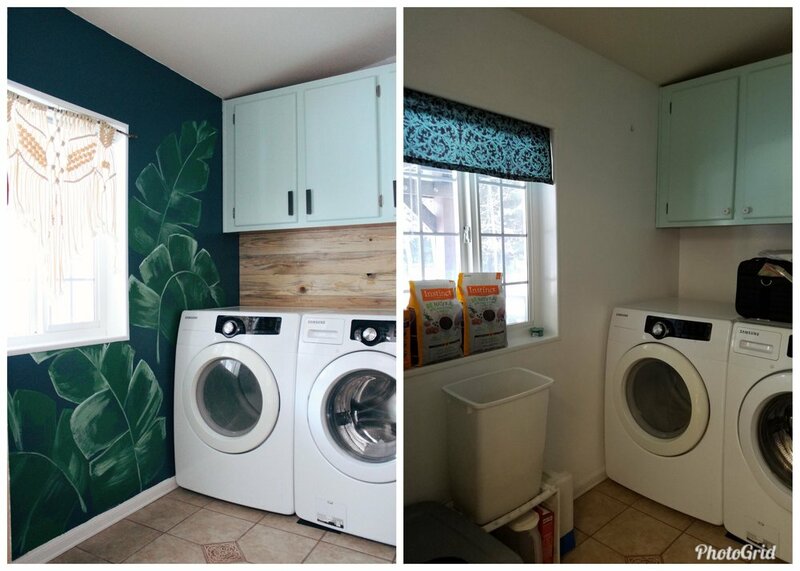 Here’s a quick transformation of my parents laundry room. Total cost less than $60. 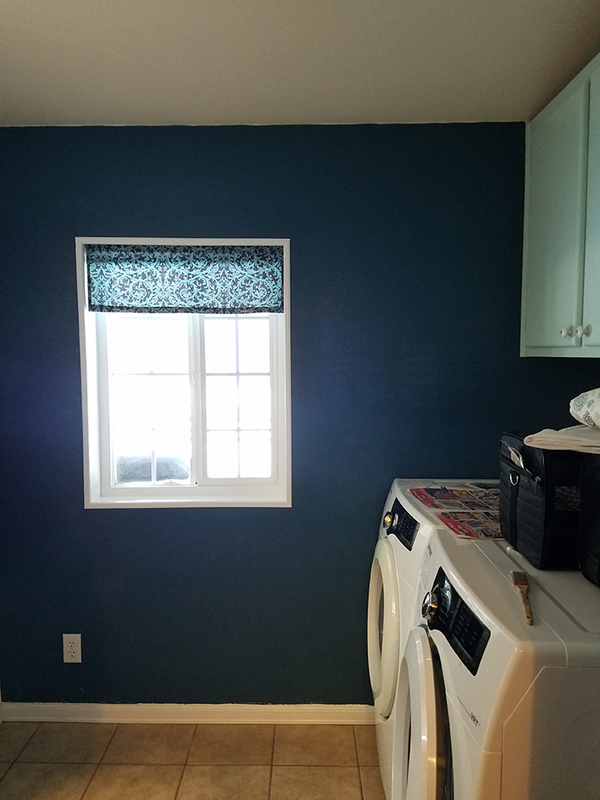 The one requirement my mom had was that she wanted the room to be light and bright… So the first thing I did was paint a dark blue wall, I love to make her nervous and also to show how dark walls don’t always mean a room will feel small and dark! 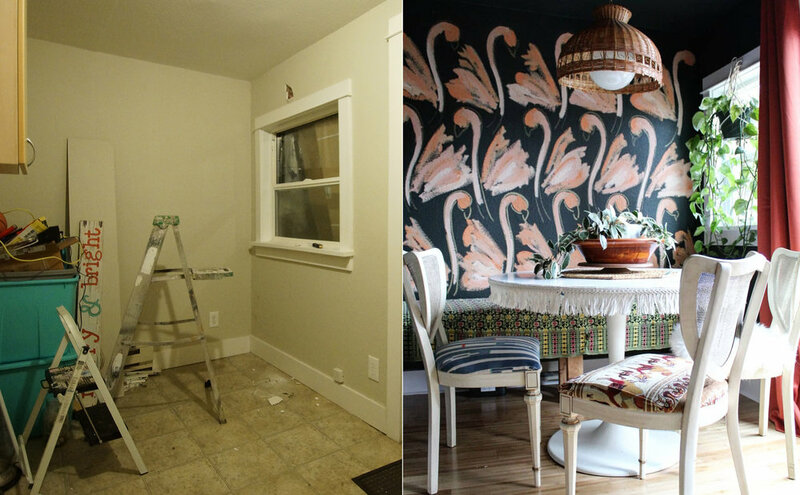 Next, I hand painted the palm leaf ‘wallpaper’ with regular wall paint we had on hand and switched out the curtain for macrame. Behind the washer and dryer I hung up cedar planks and switched out the cupboard hardware. 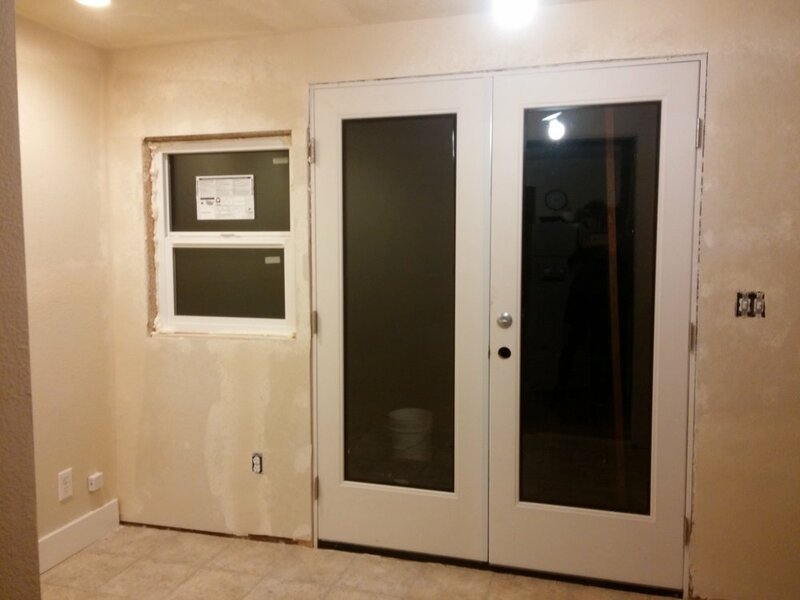 A few affordable changes that made a huge impact.